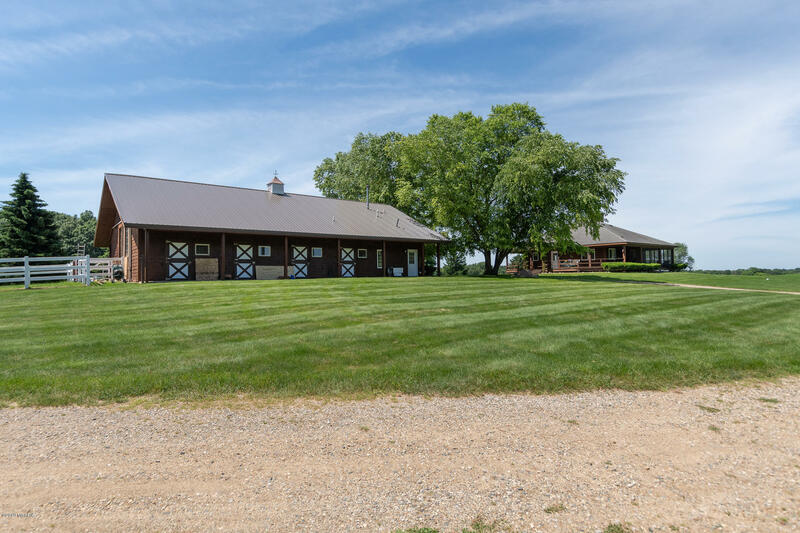 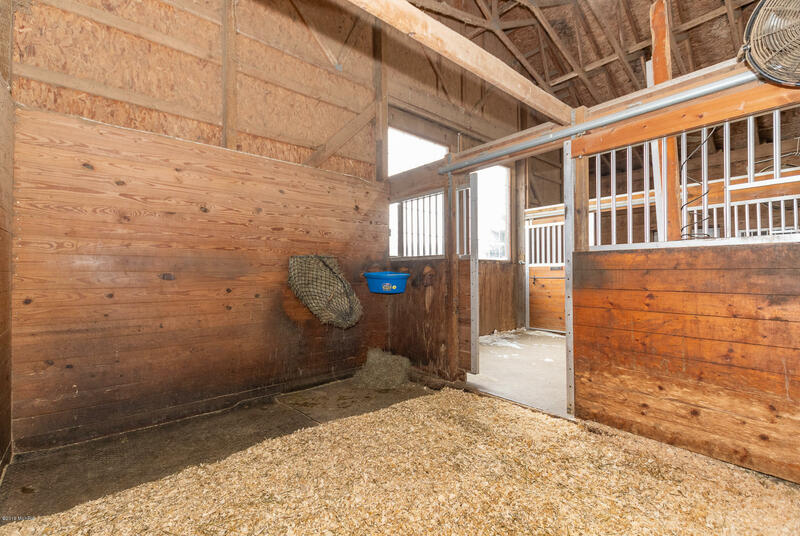 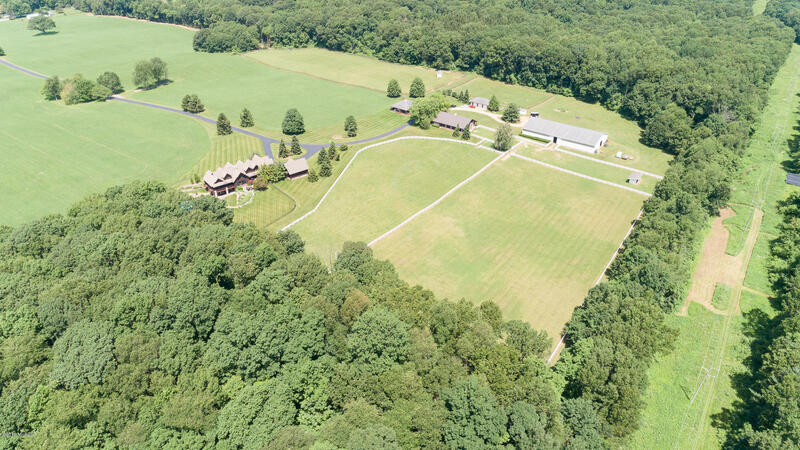 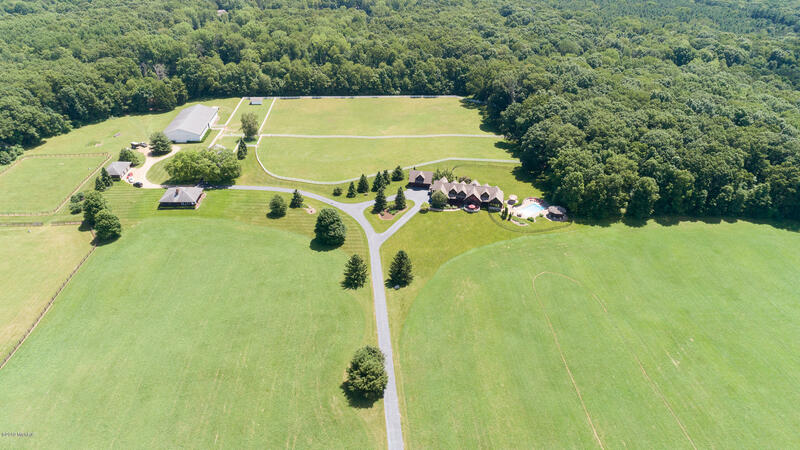 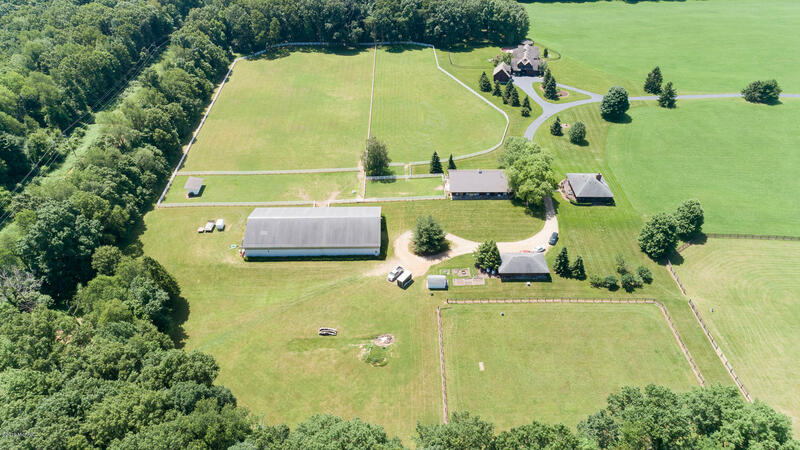 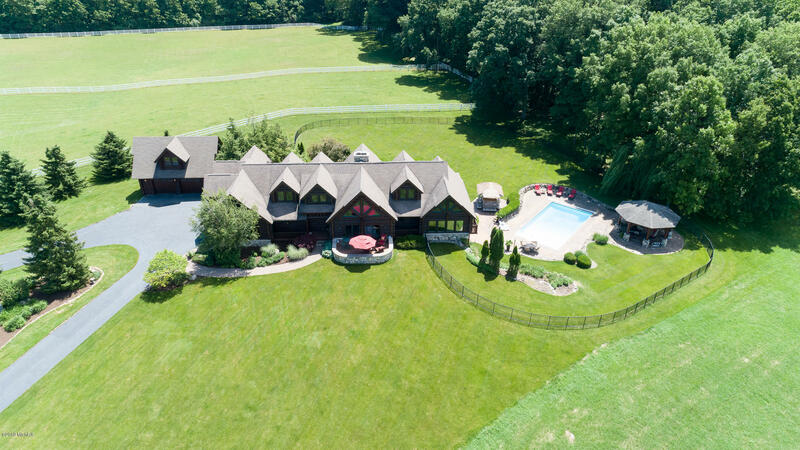 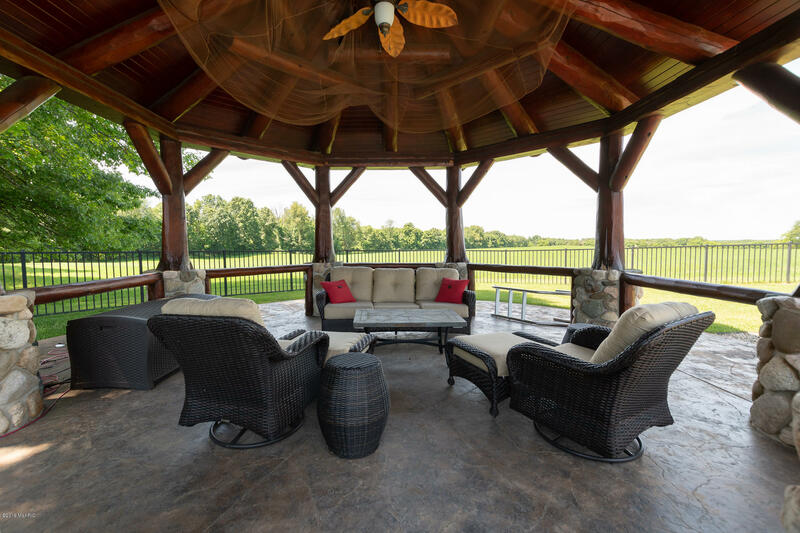 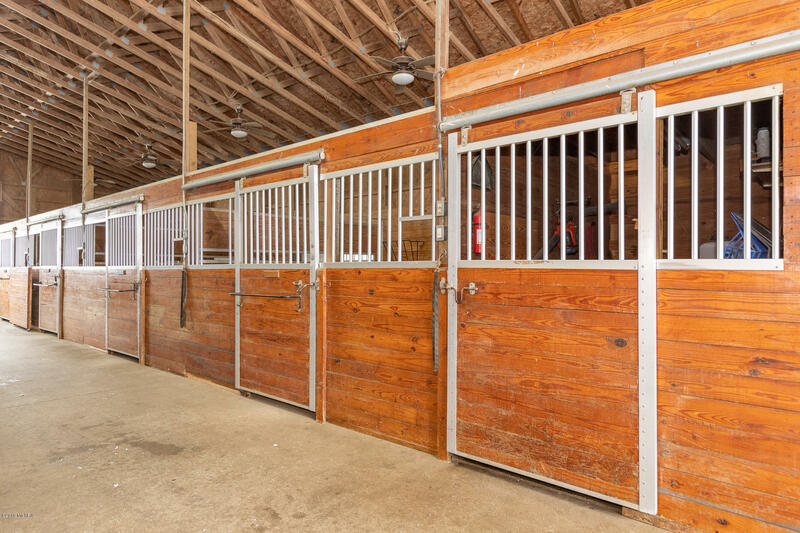 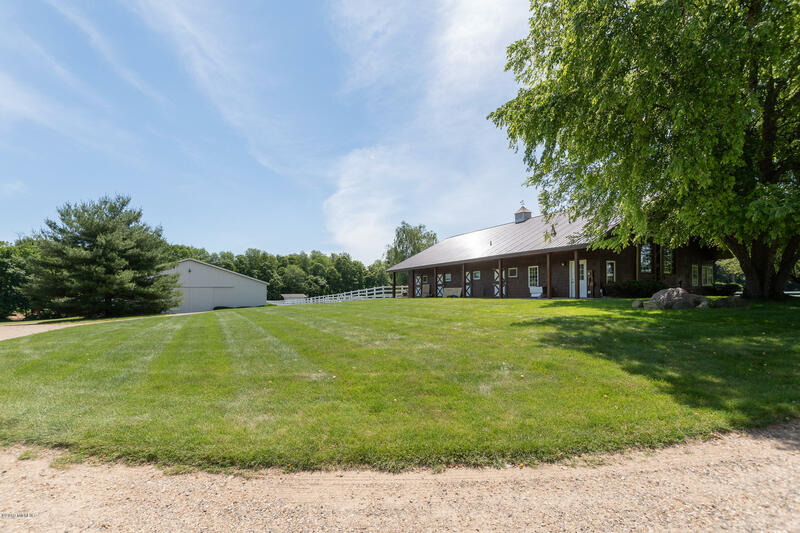 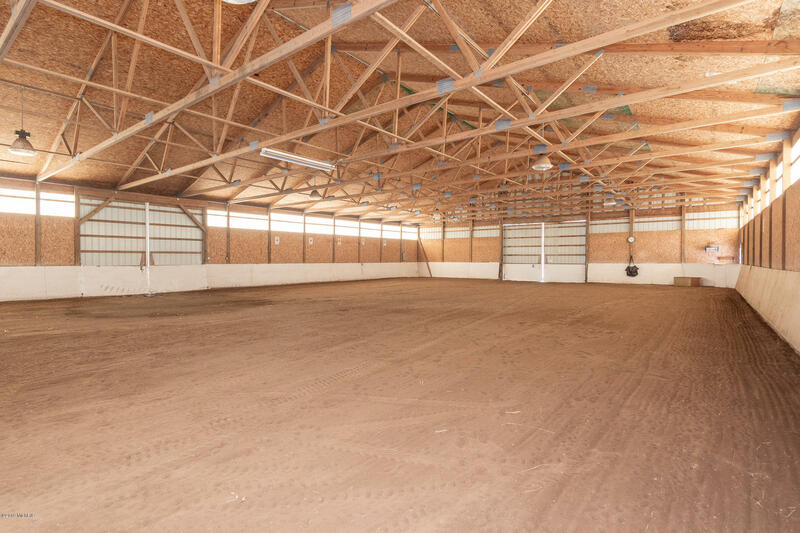 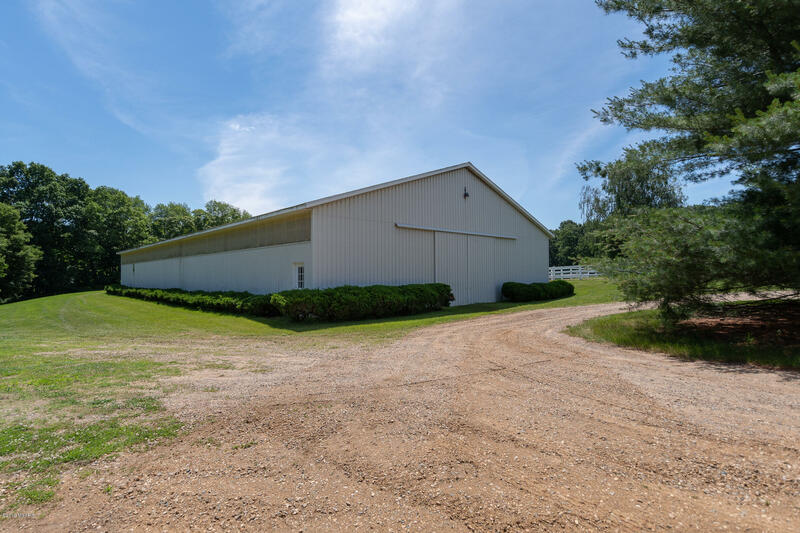 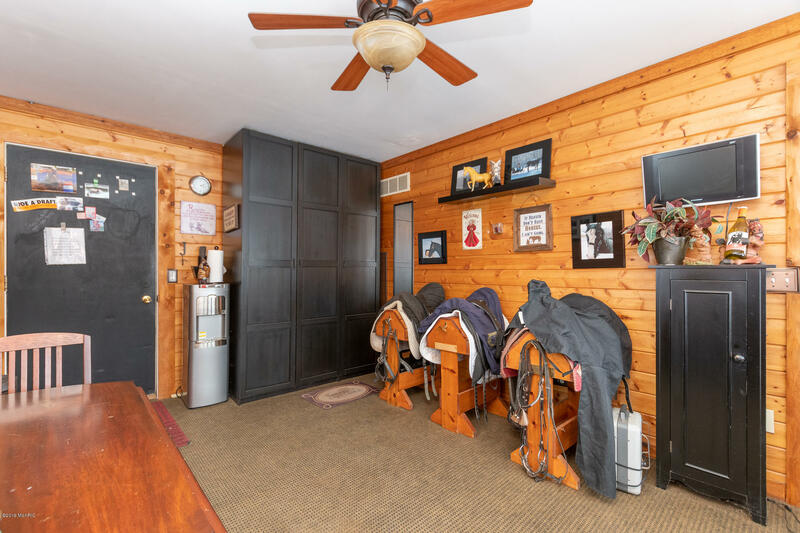 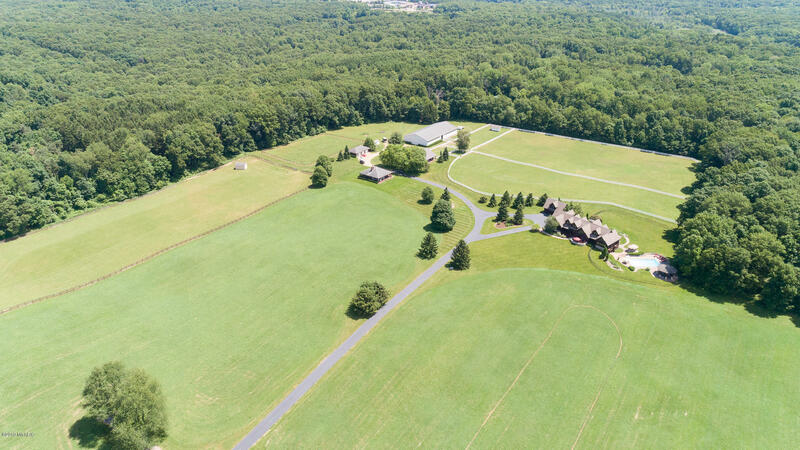 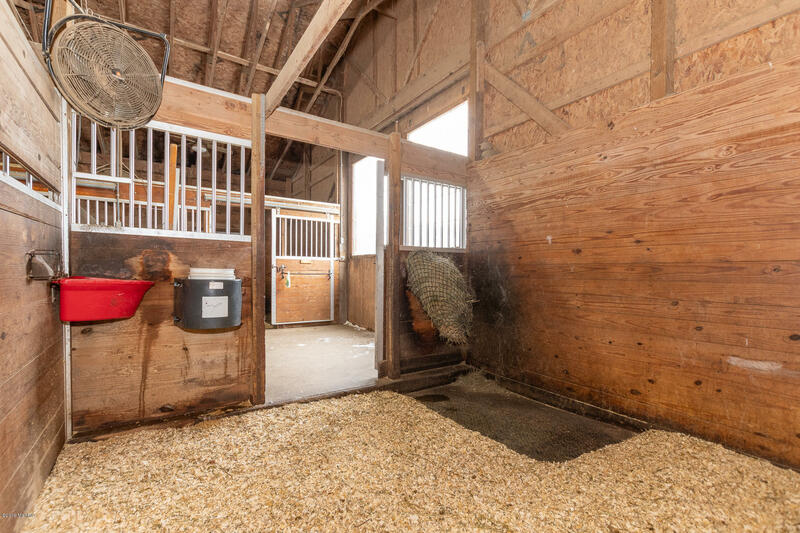 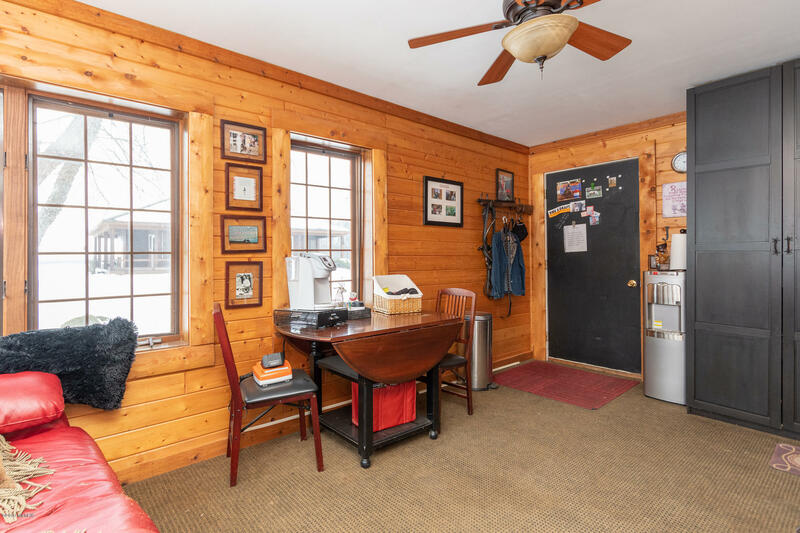 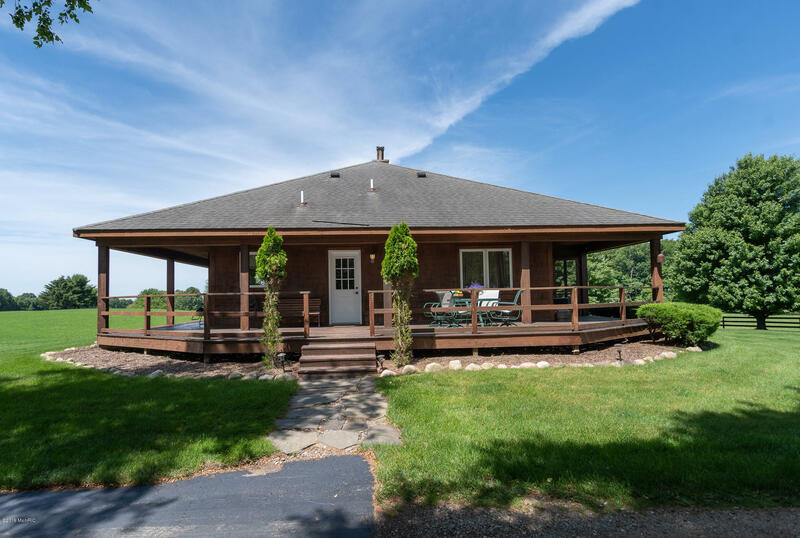 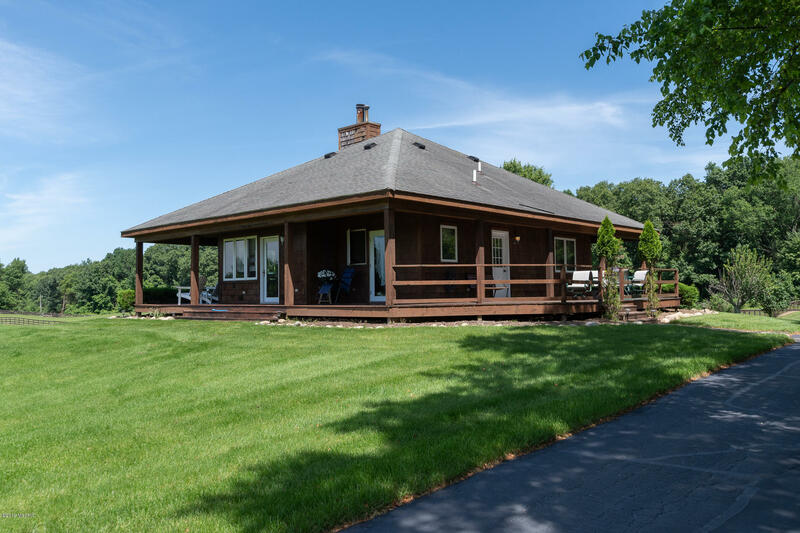 6835 S 6th Street, Kalamazoo, MI.| MLS# 19004655 | ERA Reardon Realty - Michigan's #1 ERA Real Estate Company serving client in all of Southern Michigan from "lake-to-Lake"
Spectacular Texas Twp equine estate on 159 rolling acres. 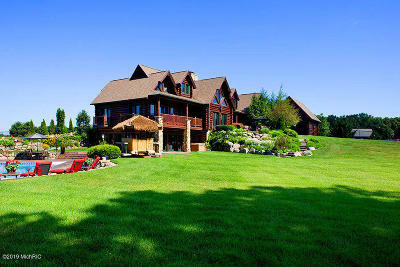 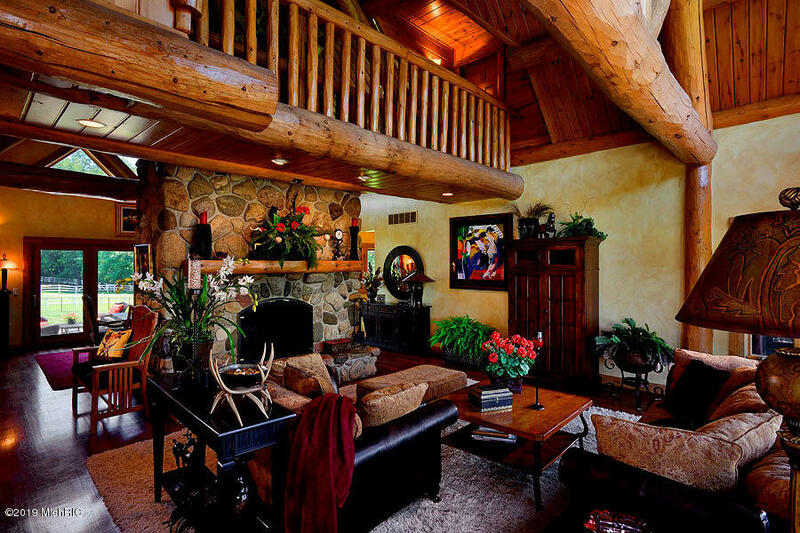 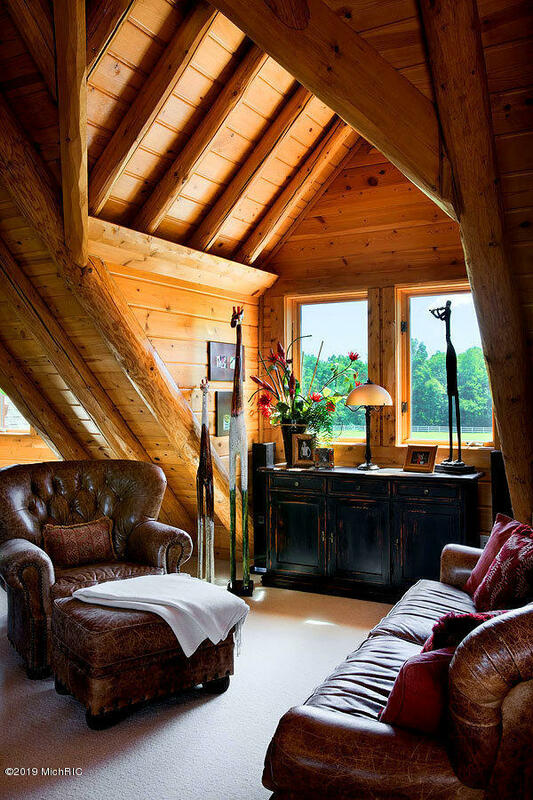 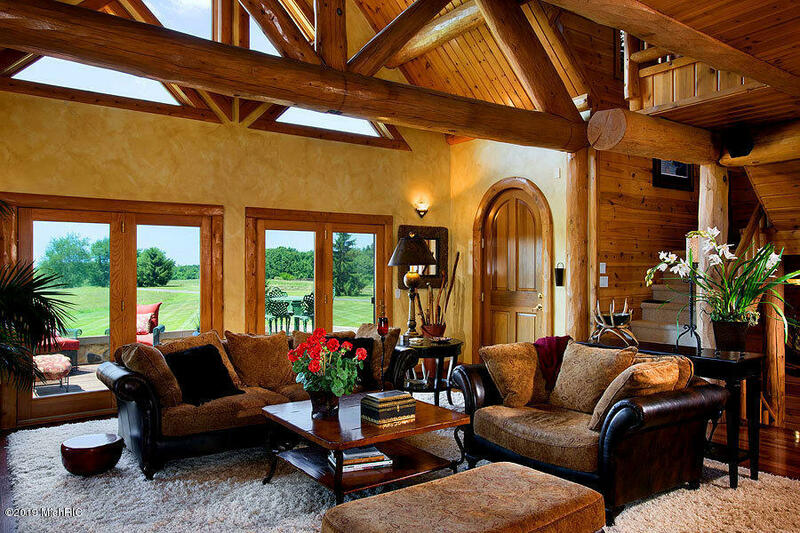 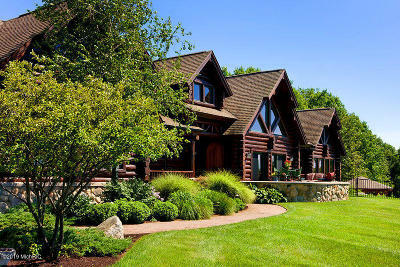 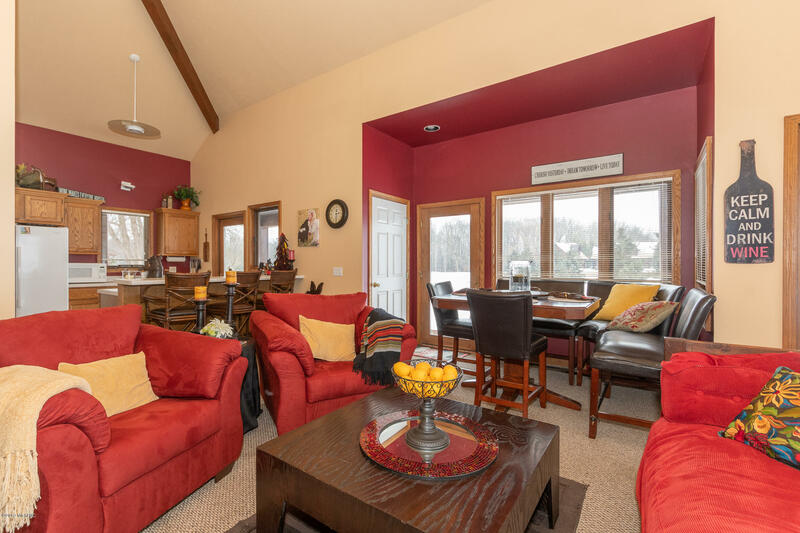 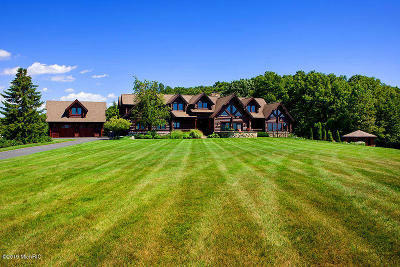 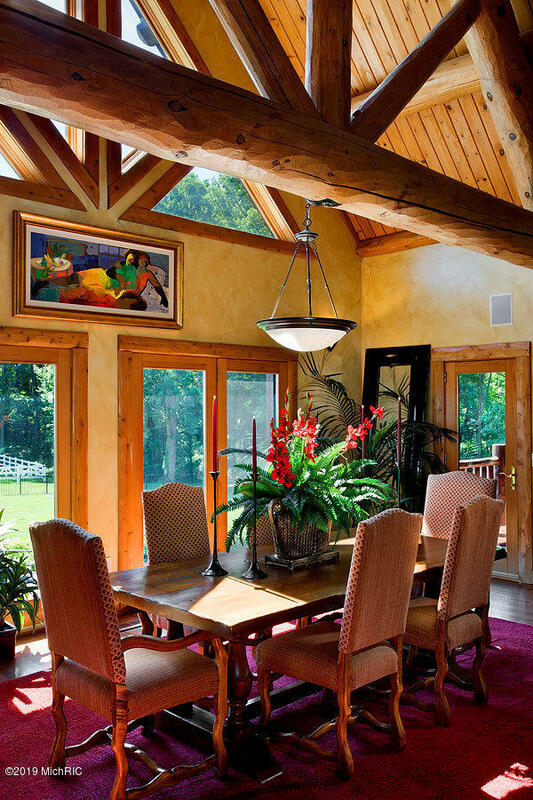 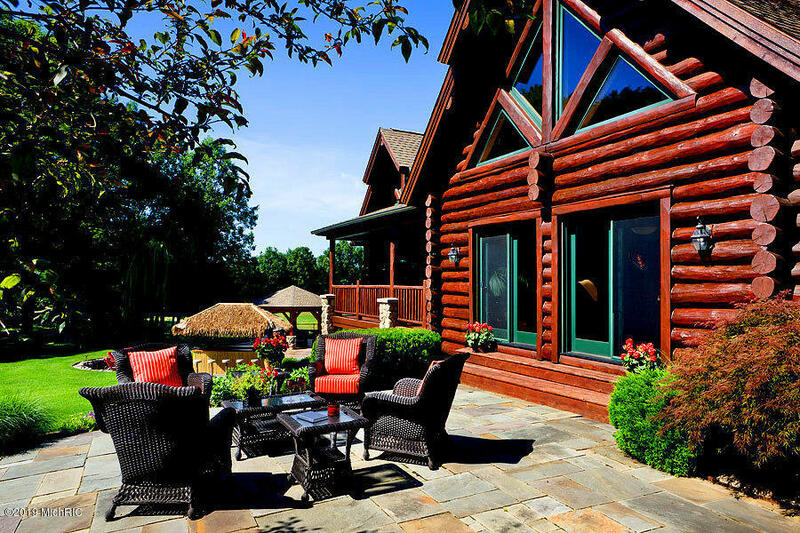 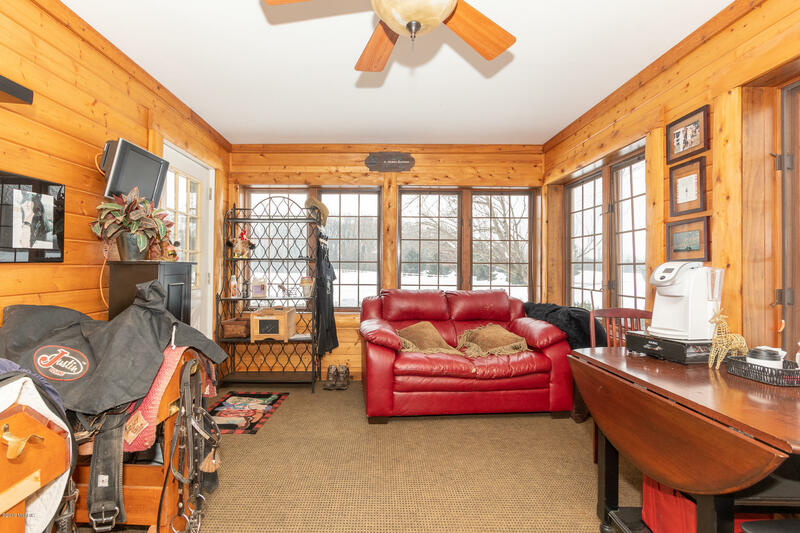 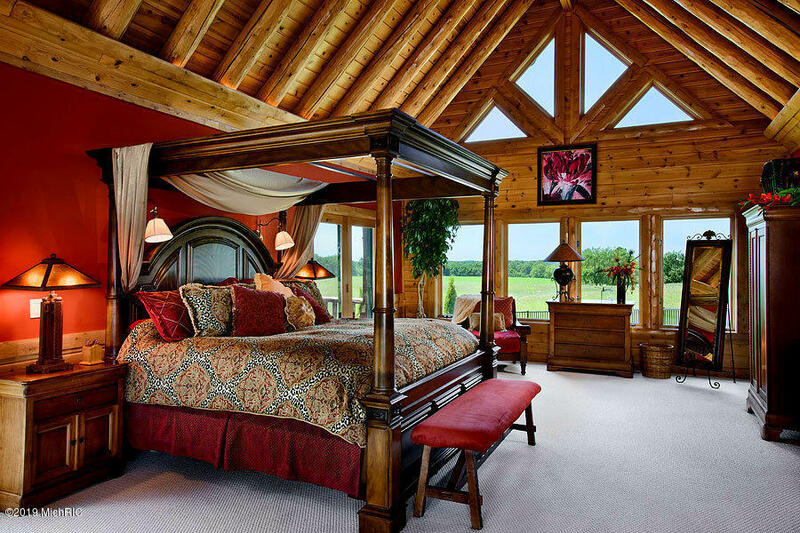 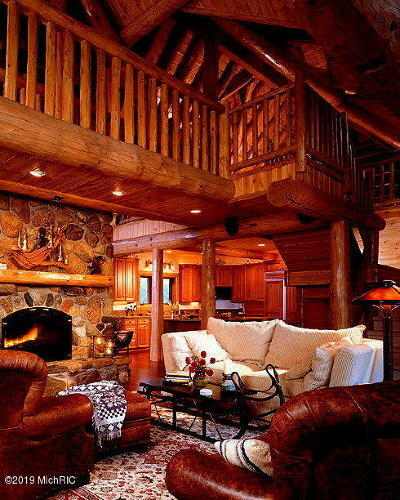 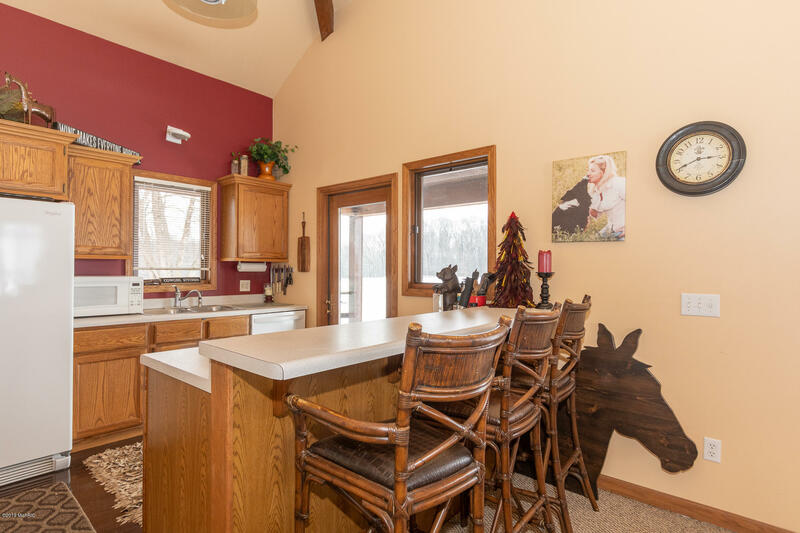 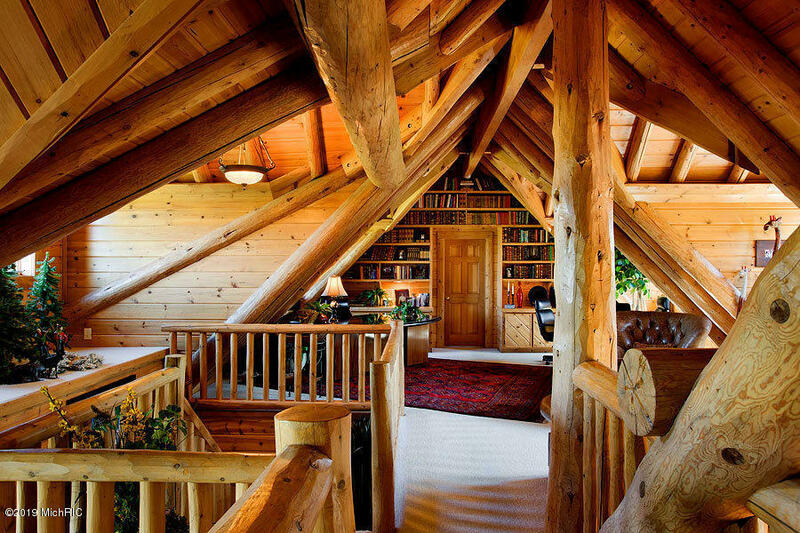 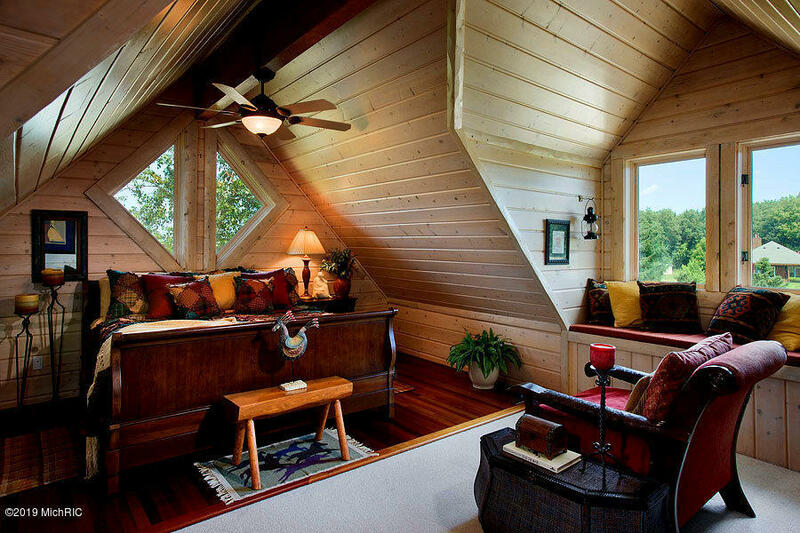 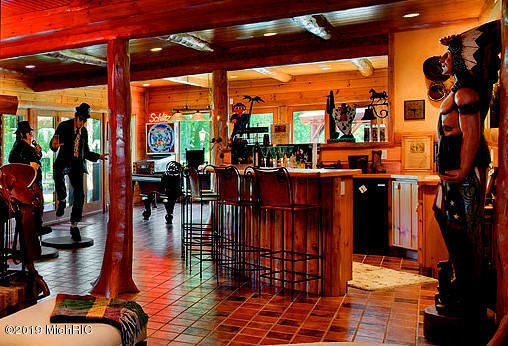 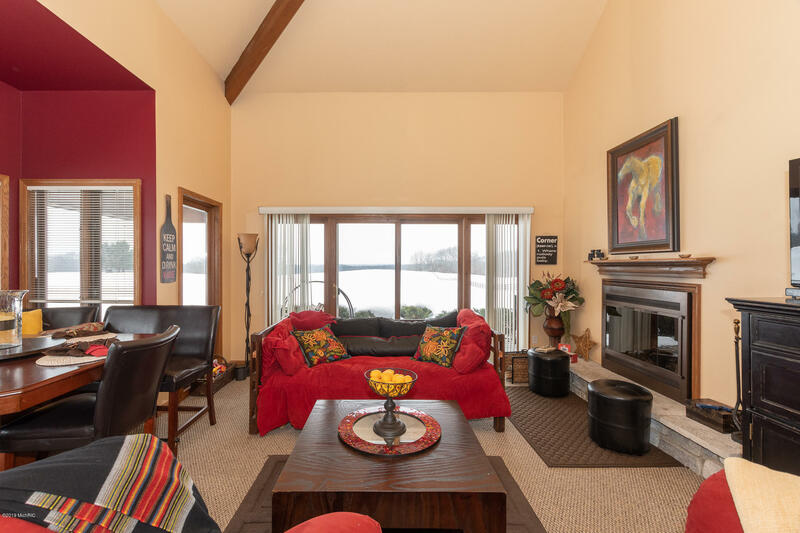 The custom log home is situated to provide privacy, entertaining space and outstanding views. Elegant rustic flavor with a grand 2 story stone FP and glistening hardwood flooring in the main living area. 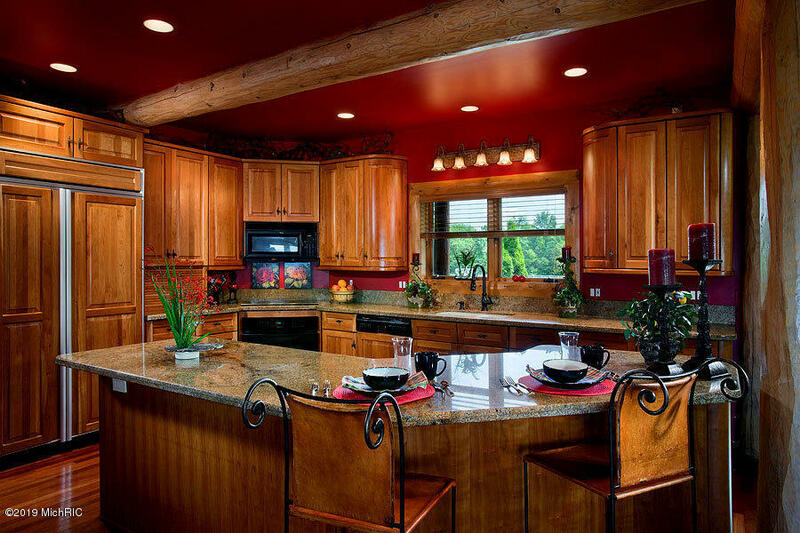 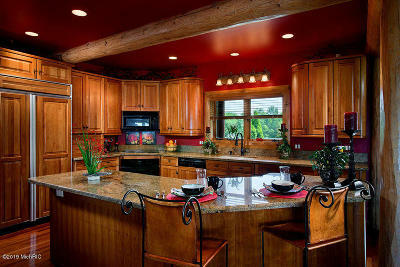 The FP is shared with the FDR open to a custom cherry and granite kitchen which flows into the Butlers kitchen. 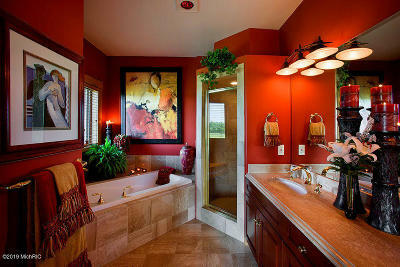 A sprawling main floor master suite opens to 4 decks and includes large closet and elegant bath. 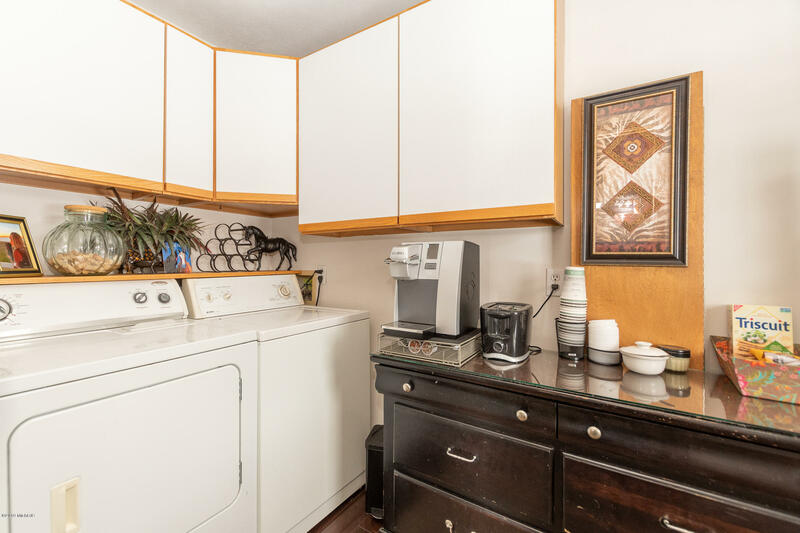 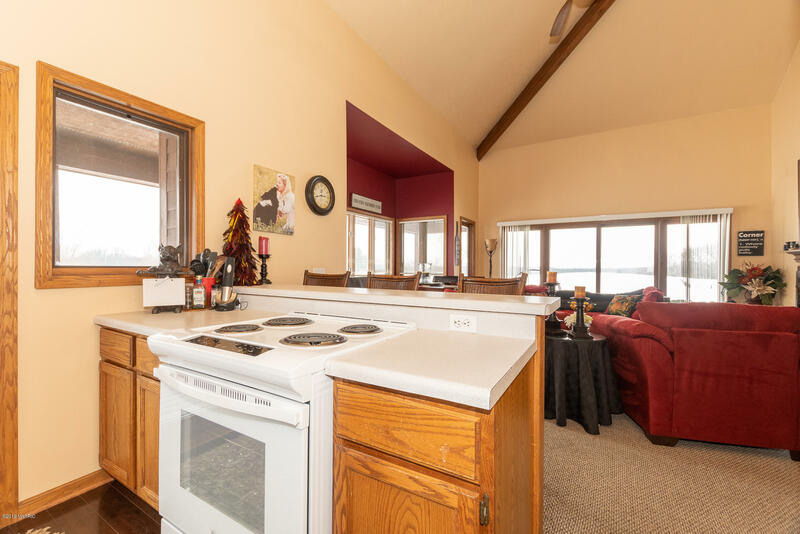 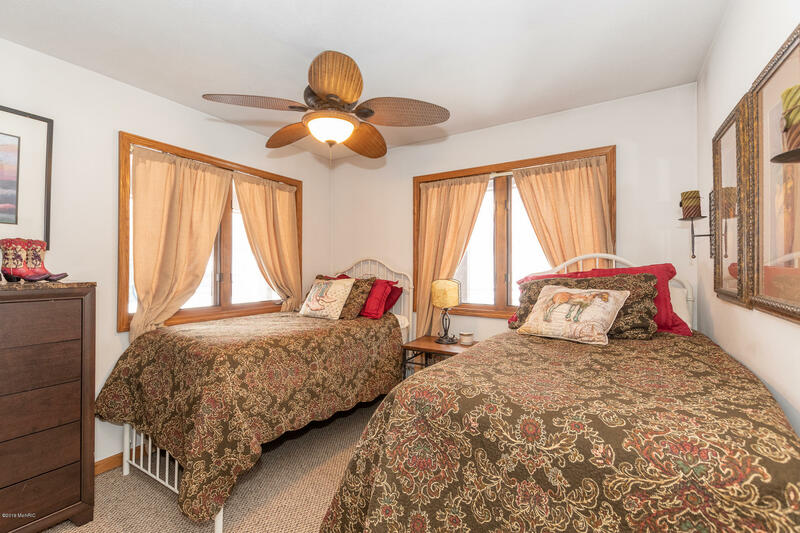 Upstairs is the family roomarea and 2 bedrooms, both with private baths. 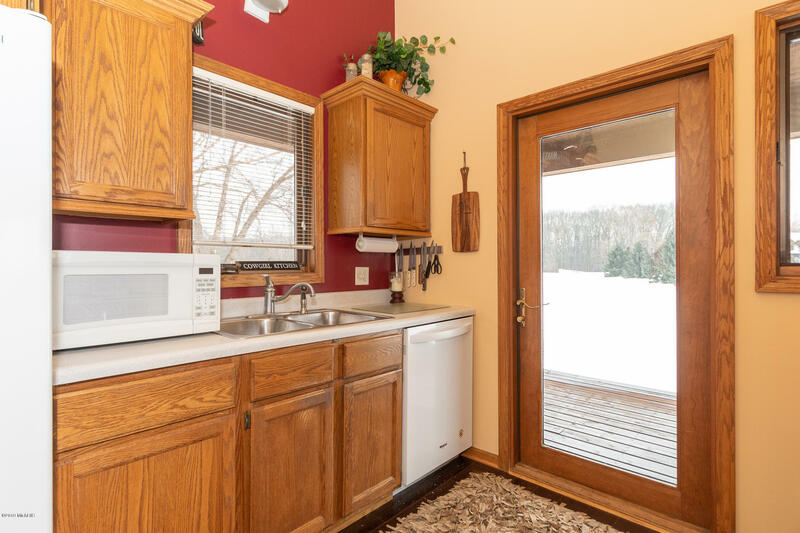 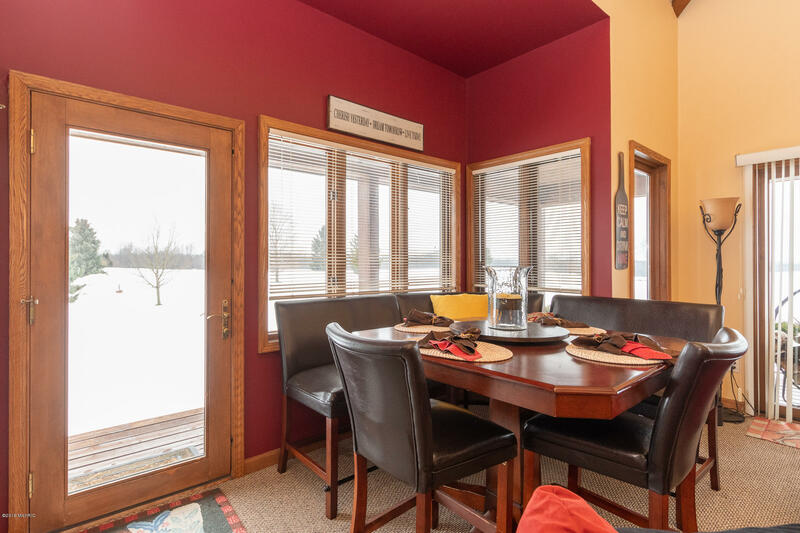 The walkout is perfect for entertaining w/bar, full bath and massage room and opens to the large fenced yard, patio and pool .Includes a 2 car attached garage a second 2 car w/loft. 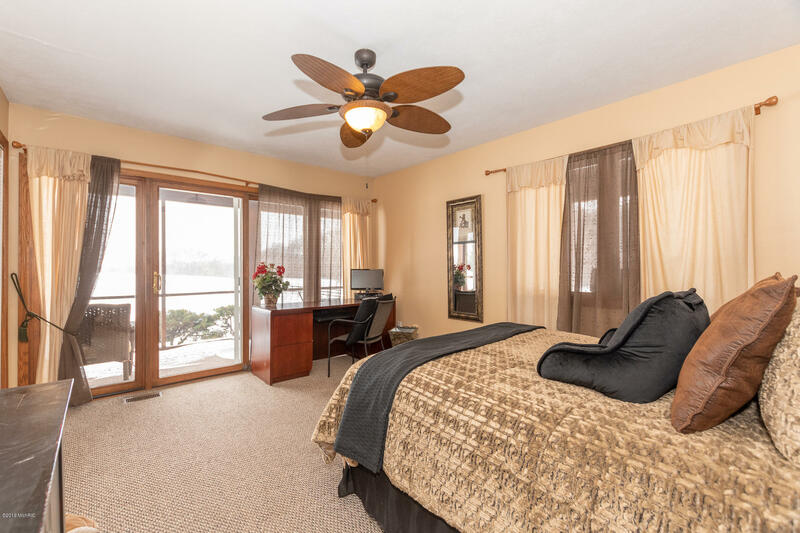 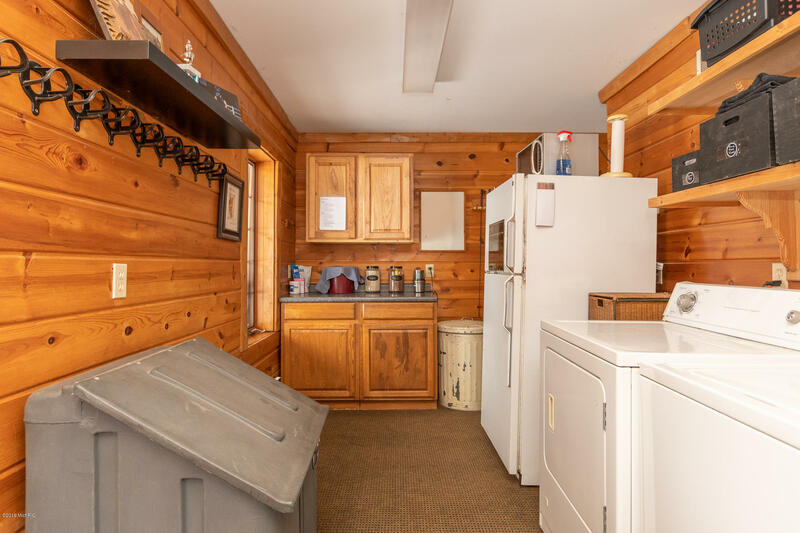 The guest house is a 2 bedroom, bath with detached 3 car garage. 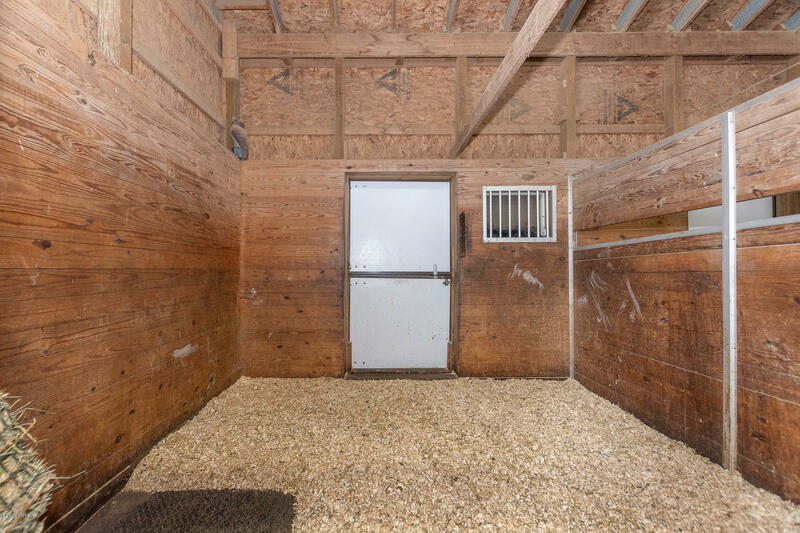 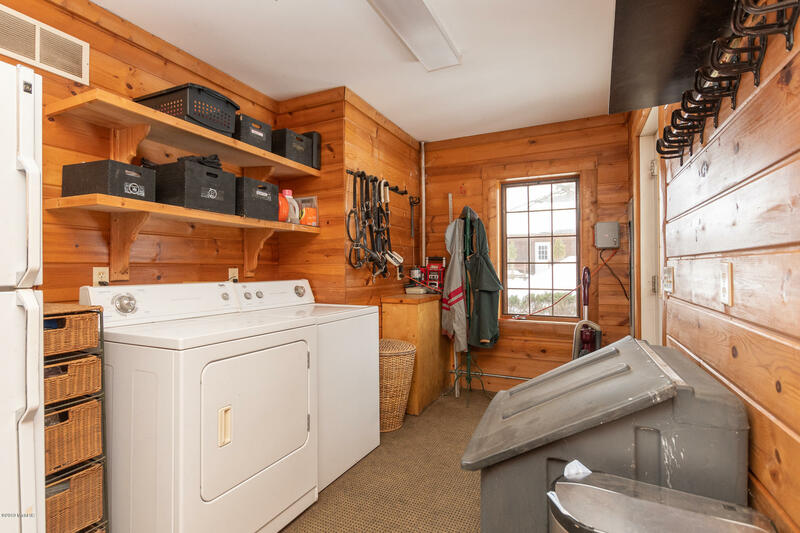 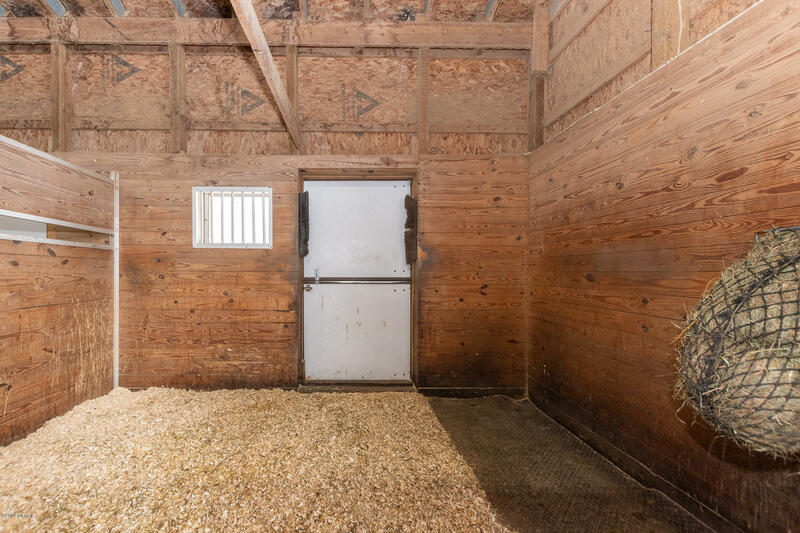 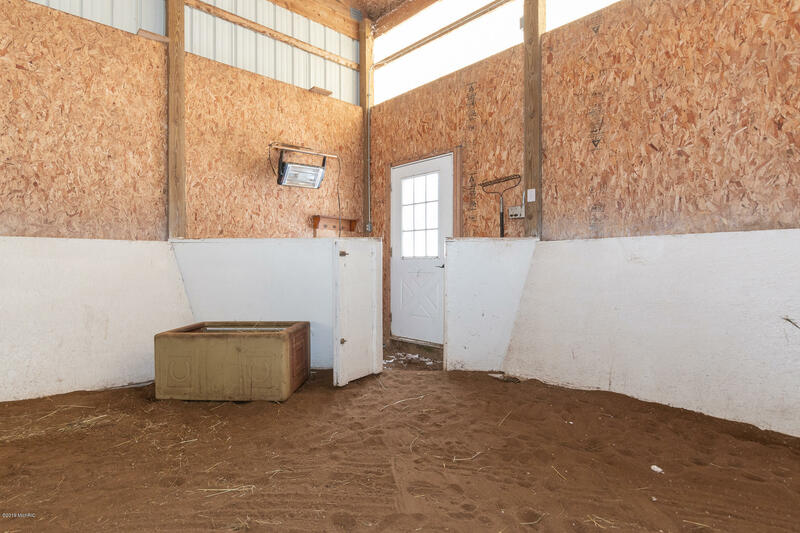 Stable with tack/sitting room, feed/laundry/kitchenett, wash rack and lovley box stalls. 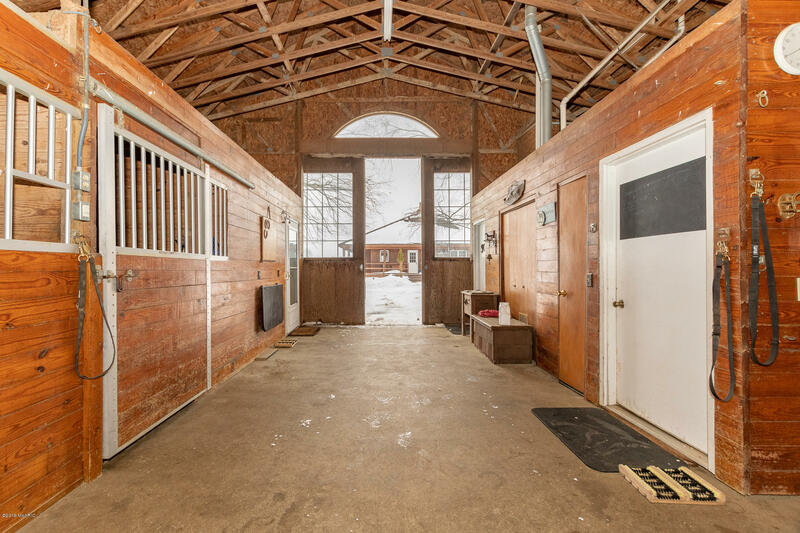 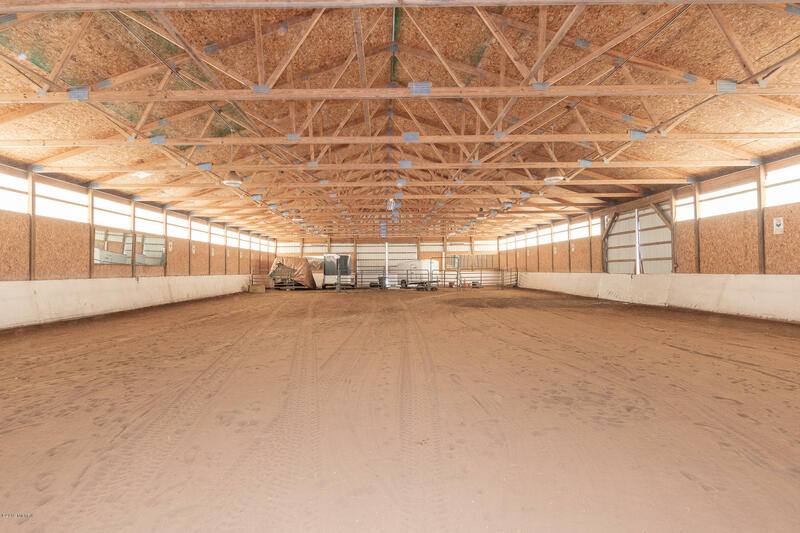 Short walk to the indoor arena.